A person who needs to have a blog first have to know how and where they can host their blog and do they have to pay anything for it or can they host a blog for free. To give a clear idea of where to host a blog we need to know about blogging platforms. 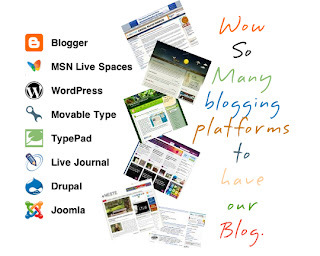 Usually many of the blogging platforms available over the net are available for free and few do offer premium services for upgrading their blog for example domain names, themes and so on which can be handled at later stages when you are acquainted with blogging basics and satisfied with the amount of traffic generated. So to give a basic knowledge of blogging platforms I have made few questions which newbies often struggle to get. Website where we host our blog or the software with which we build our blog is usually termed as a blogging platform. How many blogging platforms are present? 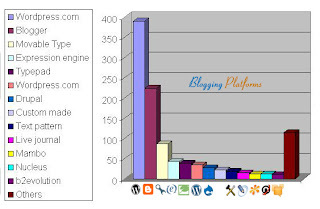 Which blogging platforms are most used? Wordpress and blogger stand side by side leaving behind all the remaining blogging platforms, for their ease and simplicity of course both are free to register with, hence could stand as the blogging giants in the blogging industry. Which blogging platform can I use? Blogger and wordpress as said above are the blogging giants and for a newbie who wants to start experimenting with his blogging skills can use any of these two platforms and not to forget other blogging platforms can also be used. You can also be different by choosing platforms which users often choose less. The reason behind these two platforms is ease, flexibility, search engine optimized and they keep on giving new features to its users. What should I keep in mind before choosing a blogging platform? A blogging platform should be easy to understand and user friendly. We must be able to customize our blog as per our requirements i.e without any restrictions. As a newbie a free blogging platform is always preferred. It must be indexed by search engine so that we can get traffic. A survey conducted by one of the blogger in his blog got the following results of which blogging platform is most used by many people. May be the screen shot helps you to choose a good blogging platform. Last minute information which I would like to share with newbie bloggers is whatever platform you choose first carefully read the terms and conditions which they give. Then stick to the platform at least for few days to play with the options on how to post, etc. If you are getting messy with the platform then switch to other platform but don't keep on switching from platform to platform and waste your time. Hope you got it.